The new home of weddings I shoot and my own wedding plans! It’s no secret I’m in the midst of trying to plan my own wedding. I’m constantly discovering new vendors, venues and décor options – damn you Pinterest! Honestly, it doesn’t make this planning stuff any easier on a girl! There is such an amazingly large bank of talent we have access to. An overwhelming amount really. And what do I go ahead and do? 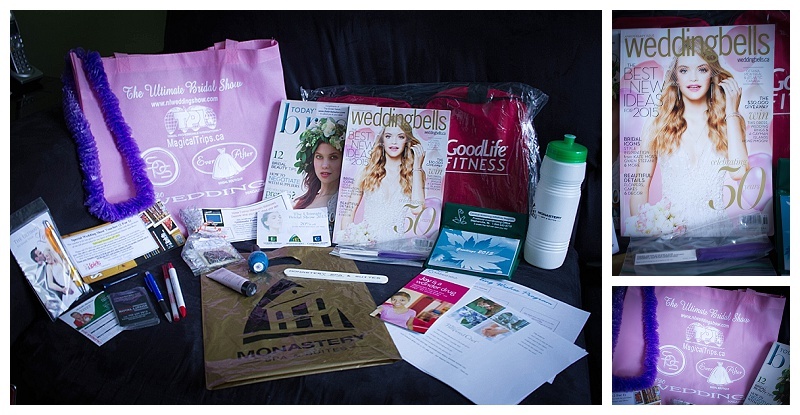 Attend the Ultimate Wedding Show. I bring along my mom and best friend and Maid of Honor, Cindy. They made it fun. They toted along bags which I proceeded to fill with SO much information. 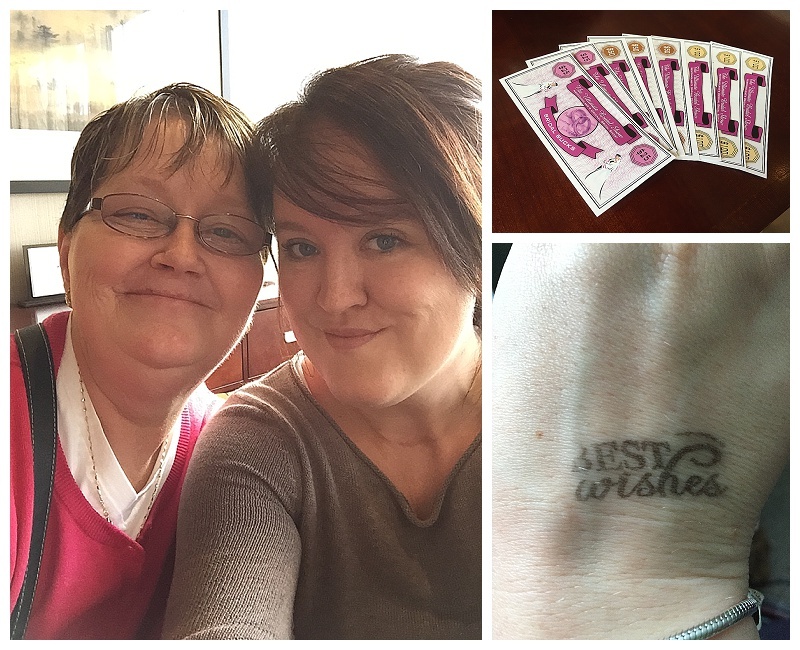 We ooed and odd, snacked on delicious treats, got excited, shared laughs and snapped photos. There were vendors with beautifully designed cakes. A local chocolatier with mouth-watering treats that could be personalized to your own special day (Newfoundland Chocolate Company). There was a vendor who is a DIY super hero to those of us hosting an event (Loot Designs – go check her out!). There were several vendors catering to music, from your traditional DJ service to live local musicians (they were GOOD!). 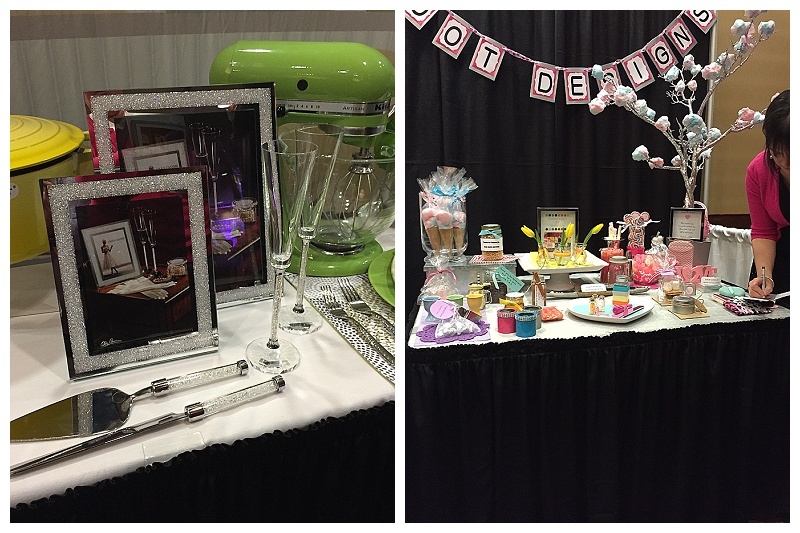 Several decorating vendors who could cater to just about any taste or theme you could dream of. And the DRESSES! Oh my god the dresses. There were stores represented that I hadn’t even heard tell of! With stunning inventory. I remember rounding the corner of booths and stopping deadpan. Right in the middle of a room jam packed with brides to be and their entourage. I seen THEE dress. Well maybe not. I have plans to go try it on, but if it looks half as beautiful on as did on that hanger – this girl will be saying YES to that dress! And let’s not forget the enormous line of brides hoping to be one of the 200 to receive a gift bag filled with treats from various vendors. Thanks to my ever loving entourage who not only kept me laughing, but kept me company and didn’t complain I was lucky enough to be one of those handed a pretty pink tote bag. As overwhelming as wedding planning can be – as all brides and brides-to-be can certainly attest to – don’t close yourself off from experiencing every little thing you can. This is a once in a lifetime experience for most of us. So grab a hold of your friends and family, register for the wedding shows, pow wow with them and Pinterest – brain storm and enjoy every second of it.